From Moree to Mabo is the compelling and readable biography of a remarkable lawyer. Although some of the detailed analysis of the key cases and political turmoils of Mary Gaudron’s time as Solicitor General of NSW can be overwhelming, it is hard to put this book down. If you don’t know who Mary Gaudron is or if you cannot explain what is meant by equal opportunity or if you have never heard of section 75(v) of the Australian Constitution, then this is a good book for you. Your Honour, as a child I was dropped out of my pram on my head and I’ve been in a state of confusion since then. I don’t know what he is talking about. 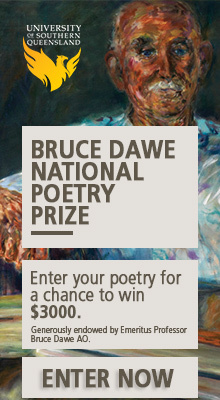 I grew up in Moree, the daughter of a railway worker, and I wasn’t dropped out of a pram on my head, and I don’t know what he is talking about either. 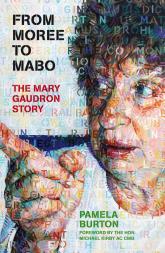 Gaudron’s wit and humanity, her direct, emotional approach, is highlighted in this telling of her story. Burton is clearly a supporter and admirer of Gaudron’s legal work and has enormous respect for her achievements. It is exhausting work just reading about the cases and judgements she undertook while raising a family of three and battling the NSW government over the radioactive contamination of her family home in Hunters Hill. Any one of those three challenges would have been enormous for most people but Gaudron took them all on. She was back at work one day after the birth of her son which is remarkable but leaves the reader wondering. If that’s what she chose to do then fair enough but what hidden, powerful, uncivilized expectations might have been at work? It is a good story and on first reading the tears seem to be a detail too far but if you refer to Burton’s footnotes you can see that the description is based on a phone conversation with Bob Hawke and a published newspaper interview with Clyde Cameron. After Murphy’s death, Mary Gaudron was chosen to take his place on the High Court and become the first female High Court Justice of Australia in December 1986. The details of what she did there fill chapters thirteen to seventeen where Burton deals even-handedly with Gaudron’s decisions on a range of important cases of which Mabo was only one. The 2002 immigration case, 275-02 v MIMA and anor, where the applicant could not be named in court is an episode which sticks in the mind long after the pages are closed. Pamela Burton’s biography is a pleasure to read but Mary Gaudron’s commitment to the law and its power to change lives is inspiring. Fabulous review. I now wish to read this book. I could do with a little inspiring. An informative, interesting and invigorating review. Fast paced and fun. Reading reviews that are as interesting as the book they are about is inspiring. I will have to go and buy this book.